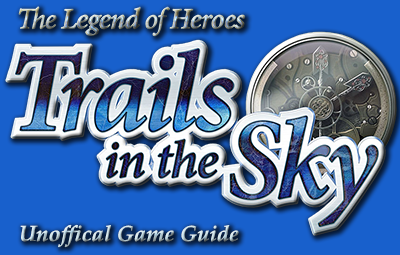 Here you will find the in-depth details of each enemy and boss in Trails in the Sky. The Rolent Province of Liberl contains the weakest enemies in Trails in the Sky, but that doesn't mean that these enemies are pushovers when you first encounter them. Some are still nasty in small groups, even massive groups of the weakest enemies can be a daunting task. Here you will find information on each of the enemies and bosses in the Rolent area, including tips on how to best dispatch these fiends. Travelers from the Rolent area to the Bose area will find a sudden increase in difficulty due to the much more powerful monsters in this area. This is especially true when it comes to the Ice monsters of the Nebel Valley and the Boiled Eggers found in the southern and western areas. This area is still in development, more areas and enemies will be added as this guide is complete.